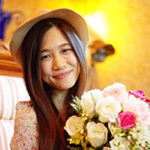 This pair of earrings is handcrafted by jewelry artisan Phat Tangmo. 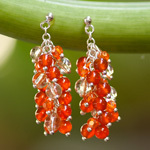 For this design, she uses carnelian, citrine, glass and sterling silver hooks. 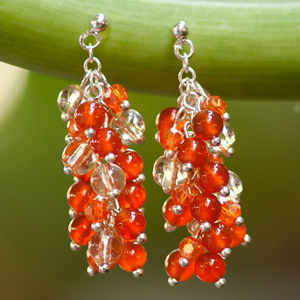 Materials: Carnelian, citrine, glass and sterling silver (.925).